The race to produce thinner and thinner tablets is on. It might not be in the open where everybody can see, but device makers are avidly trying to appease customers’ taste for slim, light devices that can be carried around effortlessly. As we have told you, Dell recently unveiled the Venue 8 7000 Series which currently holds the title as the thinnest tablet out there, being just 6 mm / 0.24 inches thick, thus beating Apple’s iPad Air 2 that comes in at 6.1 mm / 0.24 inches. It comes very close nevertheless. There are other skinny tablets on the market. For example, the Sony Xperia Z2 Tablet is 6.4 mm / 0.25 inches while the Samsung Galaxy Tab S (10.5 and 8.4-inch) is 6.6 mm / 0.26 inches. But what if we told you there’s another tablet out there that’s just as sleek as the iPad Air 2. Chinese tablet manufacturers have instituted a tradition of copying iconic Apple products and now one of them has managed to replicate the tablet’s remarkable skinniness. 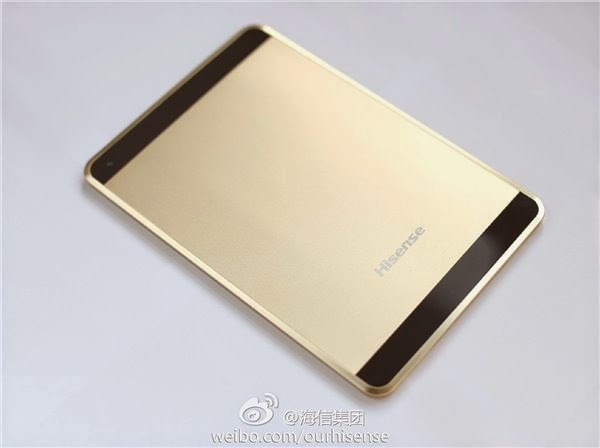 We’re talking about Hisense which just unveiled a 6.1 mm / 0.24 inches tablet of its own, called Vidaa Pad. Naturally, this tablet will run Android out of the box, but we’re not being told which version this will be. 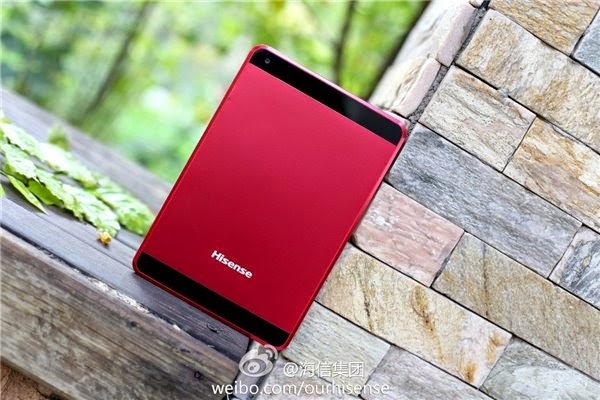 Actually, Hisense hasn’t shed a lot of light on the specifications of the tablet. 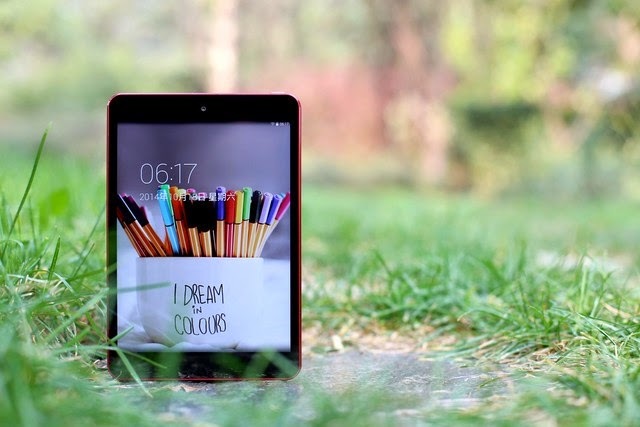 According to CN Gadget, the tablet will take advantage of one of the most powerful chipsets available on the Chinese market, but the information is not detailed. 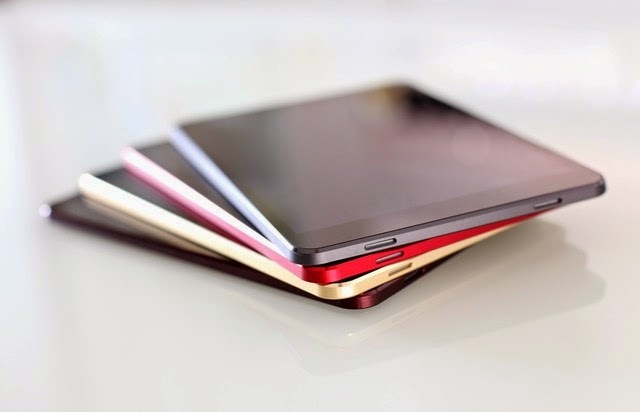 We’re shown a bunch of pictures of the tablet, which indicate the device might bring about a 7.9-inch form factor and that will be offered in multiple colors, like gold and red. Since we’re not given any indication of the specs inside, we might as well speculate. It appears the slim tablet will be marketed as the company’s flagship. We could take cues from the Sero 8 Pro, which is expected to arrive in retail next month. So the new tab could boast 2048 x 1536 pixel resolution on an IPS display (the Dell Venue 8 7000 has 2560 x 1600 res). The tablet might draw power from a Rockchip RK3288 ARM Cortex-A17 quad-core processor fitted with 2GB of RAM and backed up by 16GB of internal storage. This is all speculation and we have to wait to see whether this turns out to be the case or not. But unlike the Dell Venue 8 7000 Series or iPad Air 2 whose price starts at $499 / €349, the Hisense Vidaa Pad will certainly be a lot cheaper.